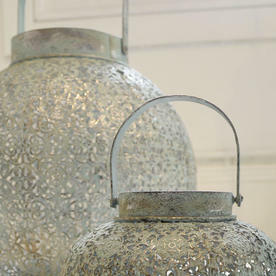 Elegant moorish inspired filigrees patterned lanterns for long summer evenings. 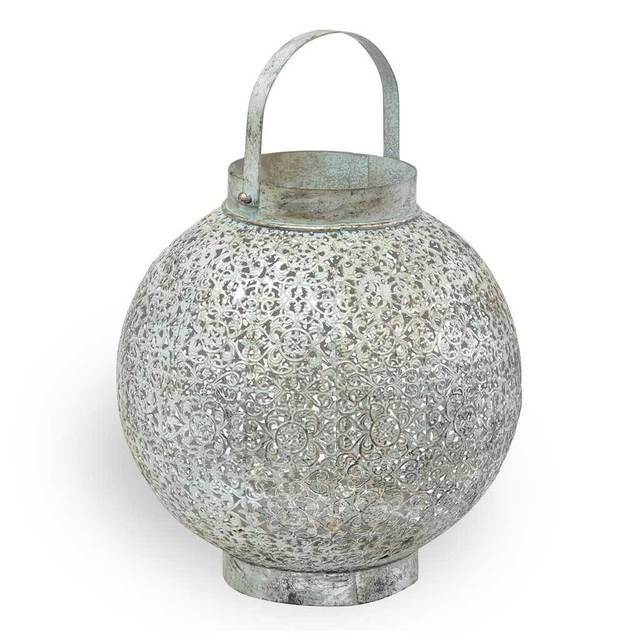 Cast some light on to proceedings on long summer nights with these beautiful verdigris finished lanterns. 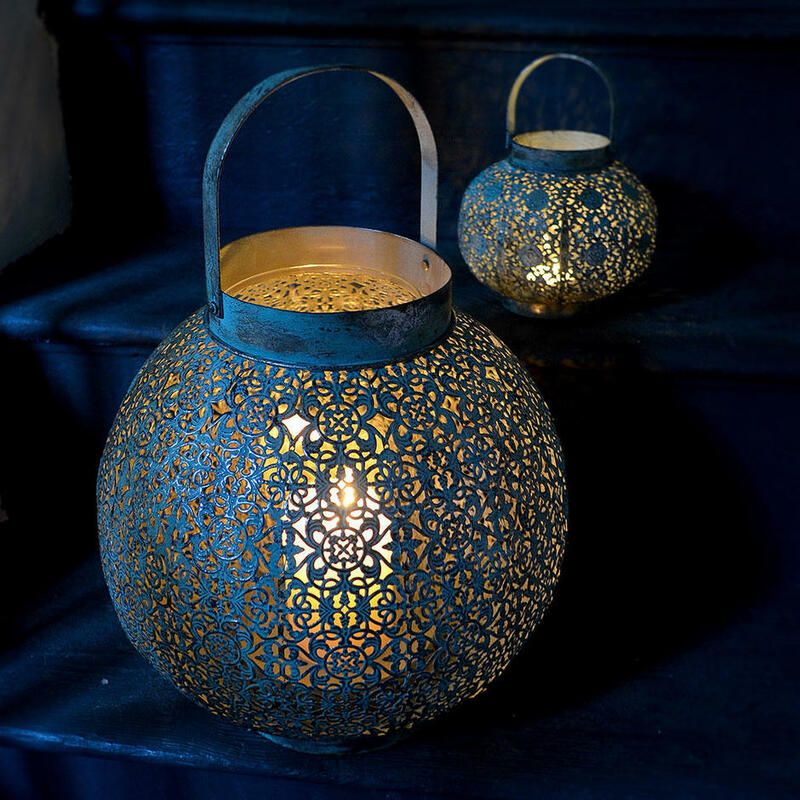 With a nod to moorish filigris design, these delightful filigree lanterns have a soft green-gold verdigris finish, and the open pattern on the metal of the lantern allows the light to flicker out. 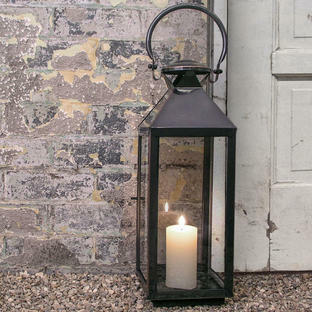 Each of the lanterns comes with an internal glass tube to give protection to the flame from draughts, or gentle breezes. 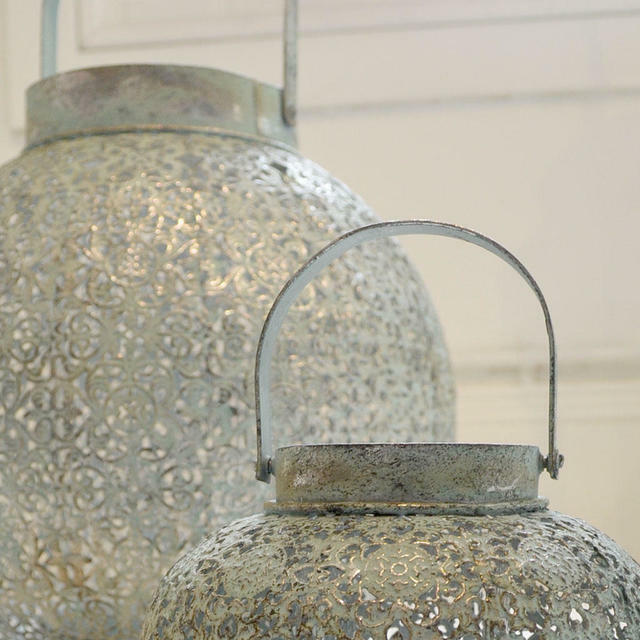 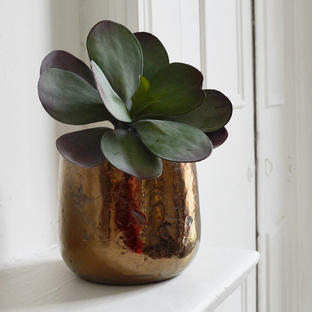 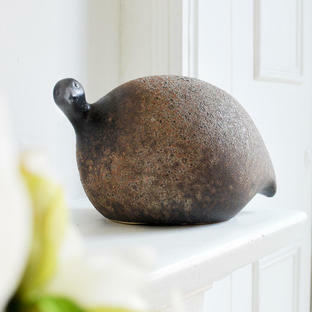 Metal with antiqued gold/silver verdigris.